I don’t recognise the mark, although I’ll add that Powdermills Pottery also had a back to front R.
A usual, Naomi got to the core of things. 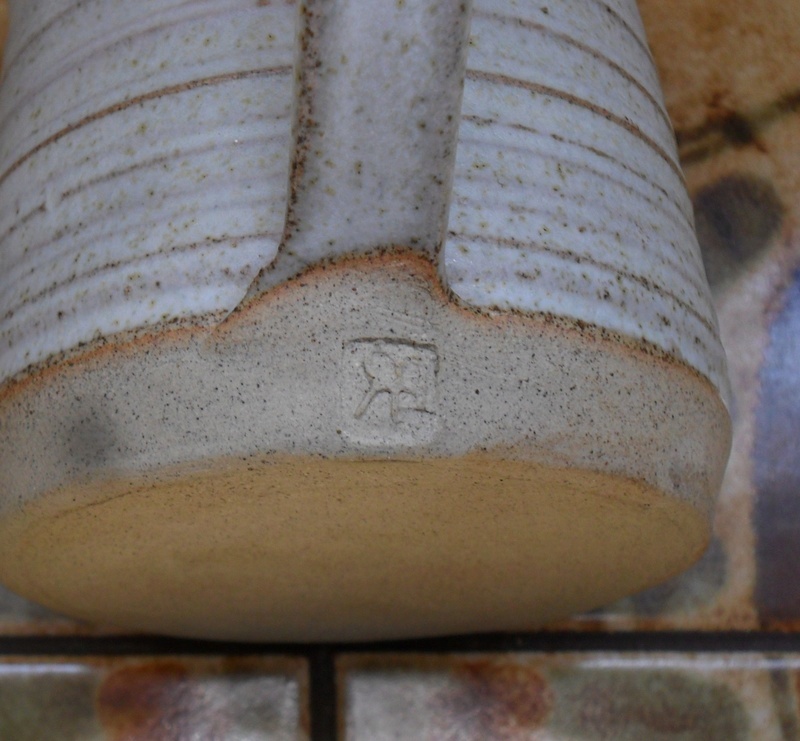 This type of thing was made on profusion by lots of studio potteries on the 1970's. As studio pottery goes, its very boring ubiquity makes it pretty much dead in the water. Oh gosh philpot - I quite like it! As a hot chocolate drinking mug its not that bad. 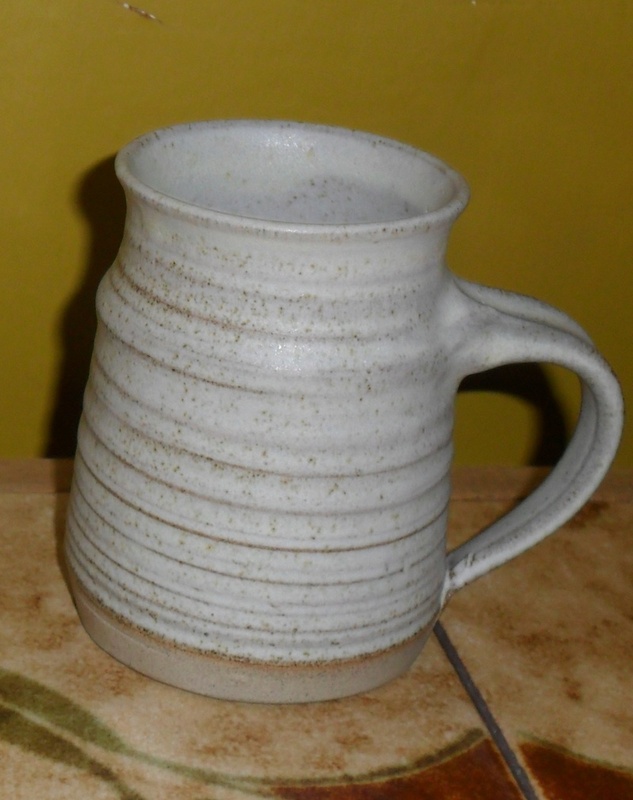 I would love to know why this clay and glaze was so ubiquitous back then. Maybe there was just one supplier? There were government schemes to help people set up craft cooperatives, but not many potters developing their own clay and glazes like they do now. Maybe to do with mining strikes - perhaps this reduced the number of suppliers or perhaps the clay was then imported to fill the void.